Talk about matching my surroundings, right?! 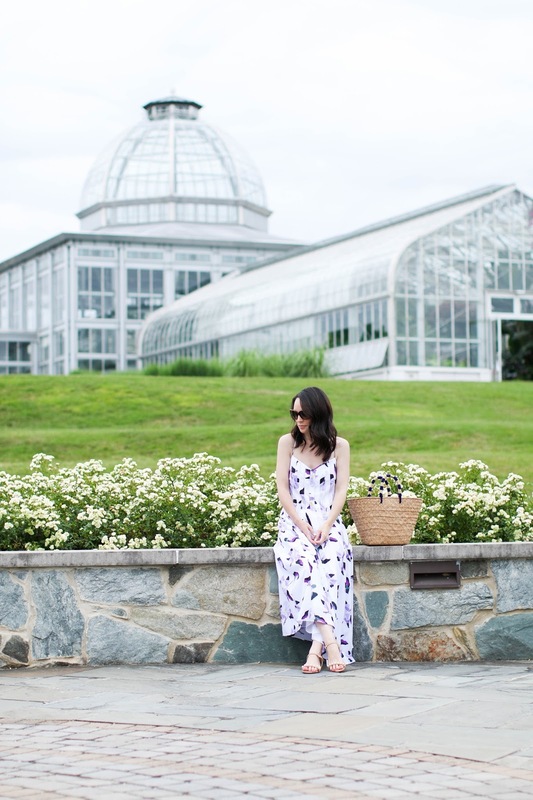 LOL I packed this comfy maxi dress last minute, and when we decided to go visit the botanical gardens this particular morning I knew it would be perfect! And the fact that it was short enough so I could wear flats was the biggest bonus! 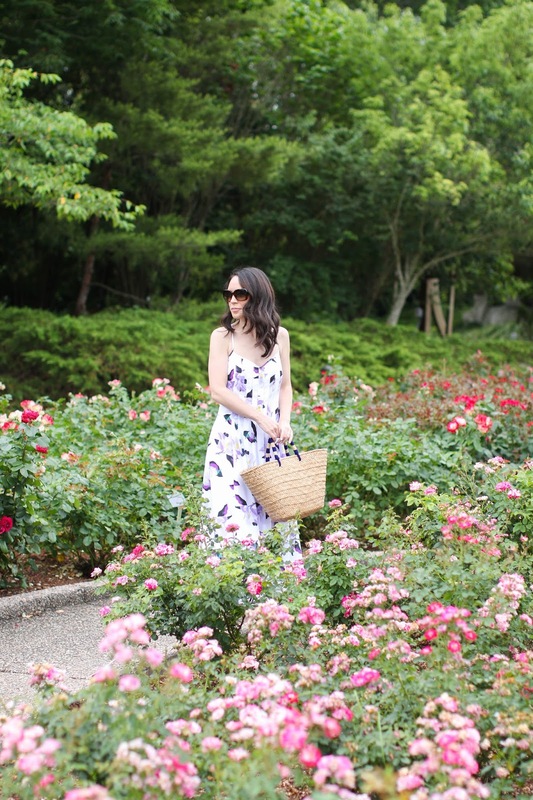 Typically I shy away from strappy dresses because I struggle with the bra issue. I still need to wear one, but strapless is my only option. Thankfully I purchased this one years ago for my wedding and it still is one of the most comfortable ones I have ever tried. It stays up (for the most part - I still fidget here and there) and doesn't squeeze the life out of me. 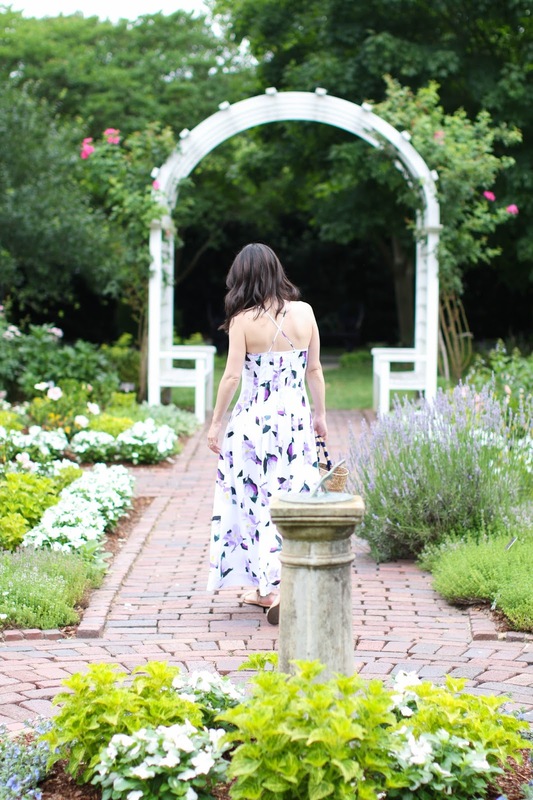 I can't finish this post without discussing the grounds of the Lewis Ginter Botanical Gardens in Richmond, Virginia. What a place! I have been to a few different botanical gardens before, but this was by far one of the most stunning. Everywhere we turned it was a picture perfect shot. My favorite part was the butterfly exhibit inside the main glass building. They have to keep it warm and humid for them, so thank goodness we went at the end because I emerged from there with a head of the most frizzy hair you have ever seen. But it was worth it because we were able to get so close and interact with them. Often they would land on you and you wouldn't even know it. And that particular day they were landing mostly on the floor so Stan and I had to check before we took each step! Another quick Richmond mention from our time there was the restaurant Graffiato, directly across from the Quirk Hotel. It is owned by one of the winners of Top Chef, and the food was out of this world! Worth a stop if you happen to be in the area.